Please take this into consideration when creating your file. Please use the table below. Exact 4x5" or 5x7” output is priced at 8x10 film output rate. The example below is for a 35mm imaged at 8k. 1. 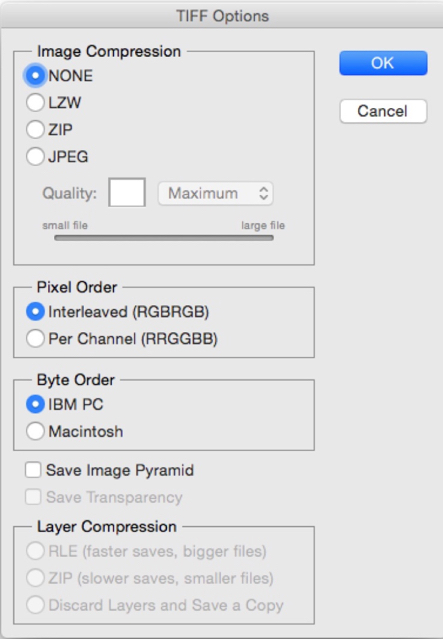 Create a new document in your preferred image editor. 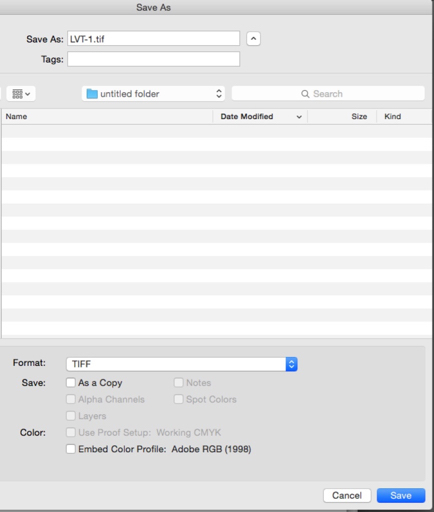 Files should be saved as Adobe RGB 1998 Mac Tiff's at the correct size indicated in the table below. 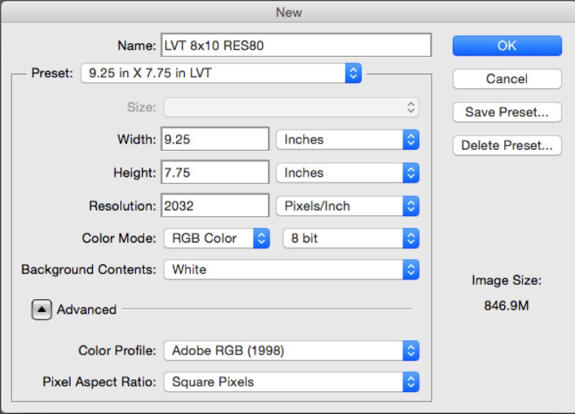 Prepare your files at the actual print size desired at 300 dpi. ie. 16x20" @ 300 dpi. All retouching and color correction should be built into the file. Additional work will be billed at our retouching fee. To ensure proper color matching and fidelity, your monitor needs to be calibrated. We recommend using an Eye One Display 2. The monitors color temperature should be set to 6500k (Kelvin) with a gamma of 2.2. PrePress Express accepts all major files format for printing. Tiff - Mac or PC - Compression LZW or Zip. Jpeg - Use the best compression, Level 10 or higher for best results. PSD - CS4 files are ok.
PDF - Any version. Please save the PDF with either no compression or Jpeg Level 10 or higher. Quark - Version 4 or higher. We are now accepting Version 8 files! CMYK: US Web Coated Swop V2. Grayscale: Gray Gamma 1.8 or Dot Gain 20%.